The Sandman and The Books of Magic by Neil Gaiman featured Baba Yaga in a number of stories based on folk tales. Baba Yaga appears in Mike Mignola's comic book Hellboy, in the issue Baba Yaga. She is depicted or referenced in other issues, including the Conqueror Worm and Wake the Devil collections. 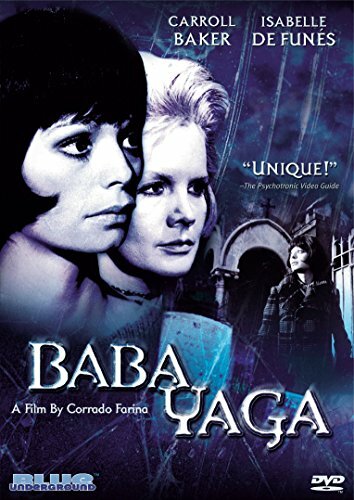 The following Western works bear little or no relation to "real" Baba Yaga but the name. Fables by Bill Willingham occasionally features her. In the RPG series Quest for Glory she is the main villain of the first episode. She briefly reappears in the 4th part. In Vampire: the Masquerade RPG Baba Yaga was a powerful vampire of Nosferatu clan which reappeared after the fall of Gorbachov, killing all of the Brujah clan vampires that controlled the Soviet Union.